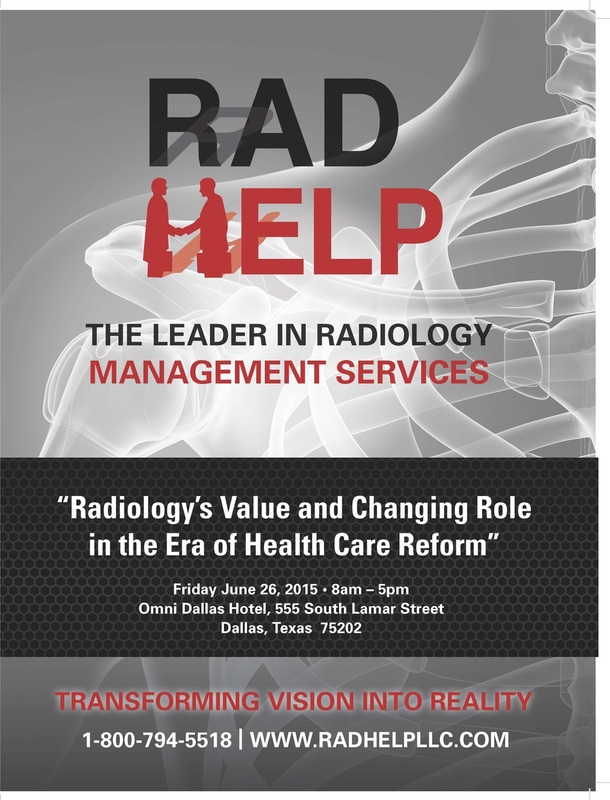 RadHelp was created by radiologists for radiologists to demonstrate their value in the patient care continuum. RadHelp offers a wide portfolio of services and products designed for the radiologist, hospital administrator and healthcare practitioner. 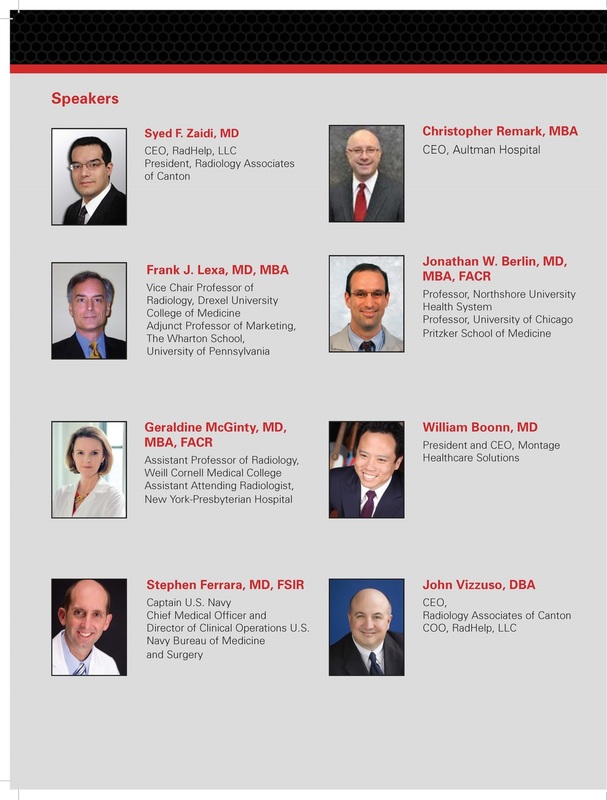 We are leading the way to significant, measurable and lasting value in the healthcare delivery model in line with the American College of Radiology Imaging 3.0™ initiative. 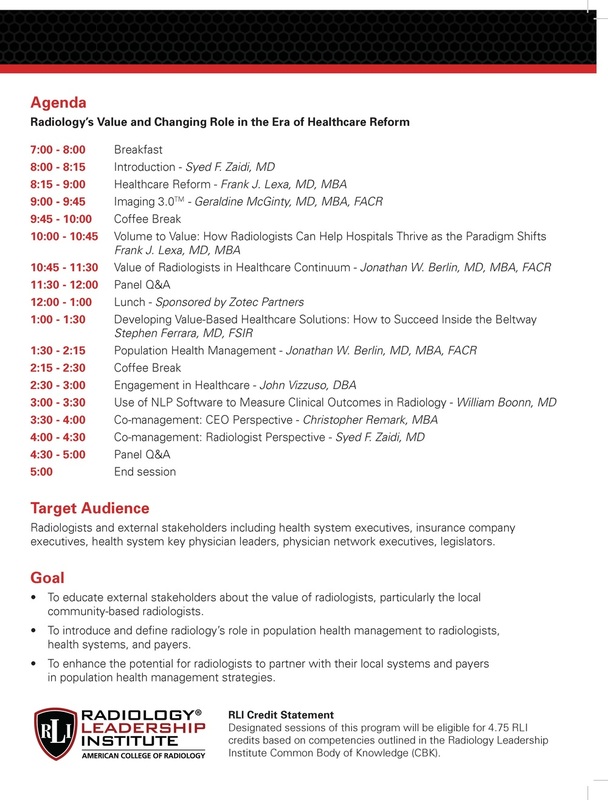 Through co-management and a shared governance structure, RadHelp is bringing the radiologist out of the reading room and into the board room. Contact us to see how we can custom design a service or solution to transform your vision into reality. 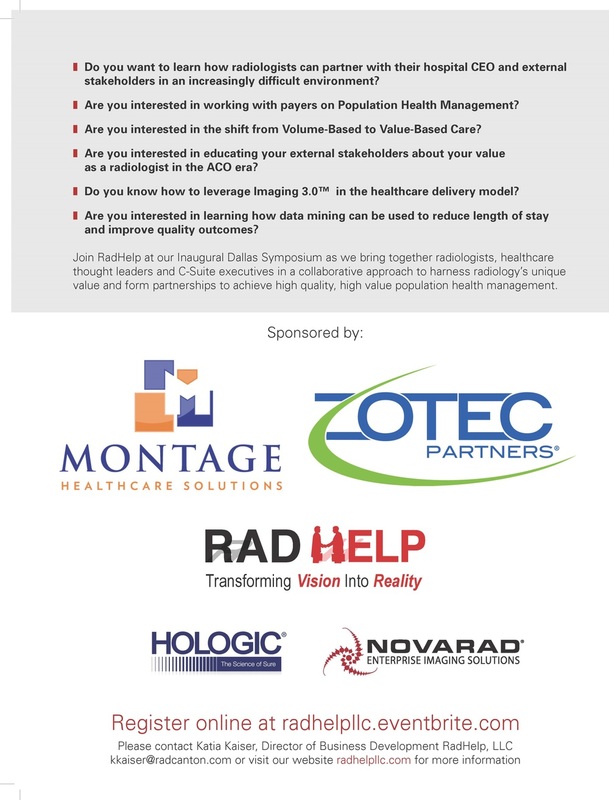 Thank you to our sponsors and attendees for making our Dallas event a huge success!